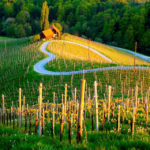 Bosnia is a heart-shaped and is located in the western part of the Balkans, bordering to Croatia, Serbia and Montenegro. 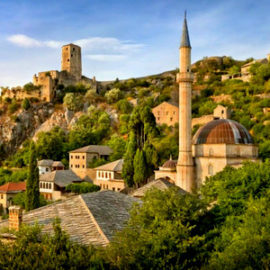 The country is crossed by the Dinaric Alps, while the south of the country is bordering on the Adriatic Sea and thus has a Mediterranean climate. Come and meet our circuits attractions of Bosnia, enjoying the nature and its people. 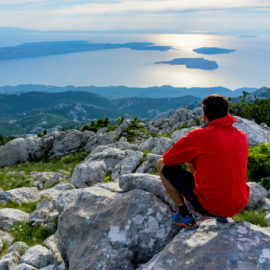 Are you ready to get to know the Balkans? 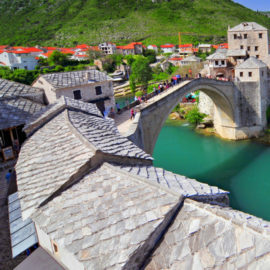 On this trip you will get to know the cities which were inscribed on the World Heritage List Dubrovnik and Kotor, the home island of Marco Polo – Korčula, the royal city of Cetinje, Neretva Delta national park, Međugorje pilgrim center, Mostar and the famous city of Sarajevo. You will have the opportunity to get to know the mixture of Balkan culture and gastronomy! Travel to three Balkan countries once united in the same country, Yugoslavia, which have a very varied history and culture. You will visit historical places of Dubrovnik, Split and Mostar where you will learn about the Venetian architecture that has survived the troubled history. 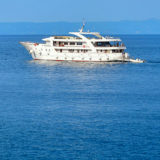 Throughout the tour you will enjoy the rich Balkan gastronomy and discover one of the secrets of the Dalmatian region. Stay informed about special events and promotions. 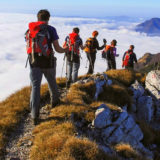 Ekorna Travel Agency organizes tailor-made trips through the Balkan region which includes Slovenia, Croatia, Montenegro, Bosnia, Serbia, and Macedonia. We are specialised in private and group cultural or active travels. © Copyright 2019 EKORNA Travels d.o.o.